Recap of Day Two was very well received. BIG thanks to my group: Stephen Kayes, Benedicte Benoit, Palupi Damardini Soedijono, Christopher Goodman, Isabelle Shortt, John Whalley & Deborah Lee. Please see the officially sanctioned RECAP VIDEO. Even looking at Cinderella through a concept-based lens this material can be used to teach at any level. communicates well "I get a little bit of information every time I find evidence." DP: Knowledge & content is highly prescribed. Inquiry comes in through internal assessment and more so through the extended essay. 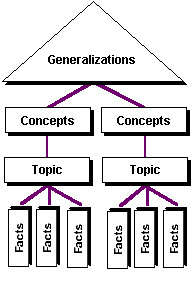 Concepts are evident in Theory of Knowledge and how it is connected to other disciplines.